Paris, France: Librairie Centrale des Beaux Arts, 1897-1933. Art et Décoration, could be described as “the French Studio”. It was launched four years after its British counterpart and had the same editorial style as The Studio with long, well-illustrated articles on contemporary fine, decorative and applied art, together with book and exhibition reviews and news items. The focus of Art et Décoration was on French, Belgian and Western European art. It includes extensive coverage of several international exhibitions including the Exposition Universelle et Industrielle in Paris in 1900. 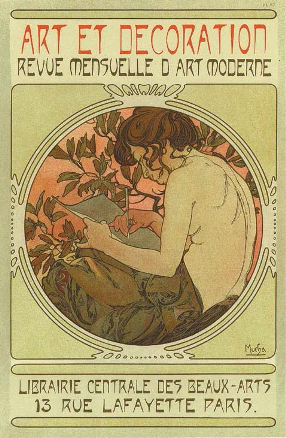 Publication of Art et Décoration was suspended between August 1914-April 1919. In June 1914 it absorbed L’Art Décoratif.